Previously we had talked about a nanoparticle composite made from gold, that could potentially help in detecting breast cancer. Well, this time around, a group of San Diego-based scientists from University of California (UCSD), have successfully concocted a special composite nanomaterial that has the wondrous ability to convert almost a whopping 90 percent of sunlight that it absorbs into heat energy. 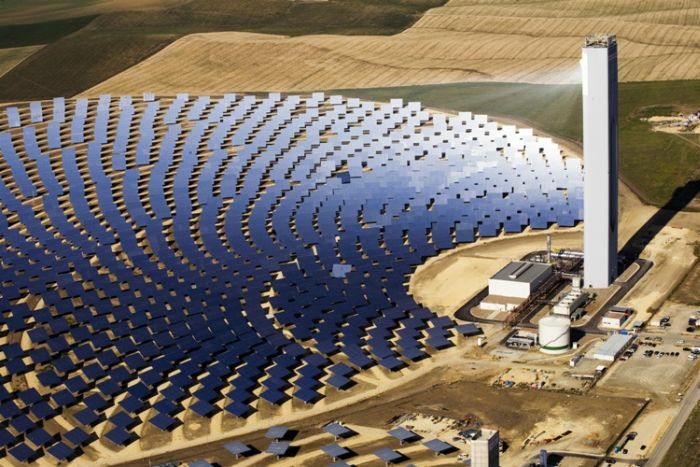 In other words, this makes the material an optimal solution for Concentrated Solar Power (CSP) plants that use mirror or lenses for generating clean solar power. In terms of combination, the material fuses a spectrally selective coating layer of copper oxide nanowires with cobalt oxide nanoparticles; both of which have complementary optical properties along with similar micro-structures. 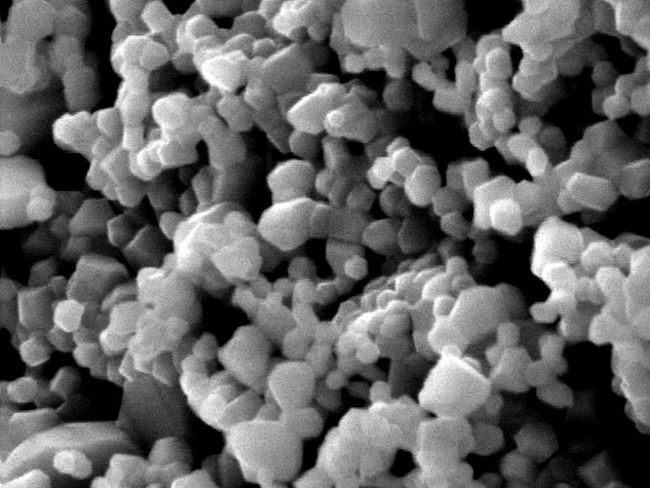 The resultant nanomaterial has the quality of what is called ‘tandem-structured’ (with multiple interfaces), and it is this multi-scale capacity that allows the substrate to effectively trap and absorb sunlight. Now, we should make it clear that this special nanomaterial will have NO application in conventional photovoltaics, where light energy is directly converted into electricity. 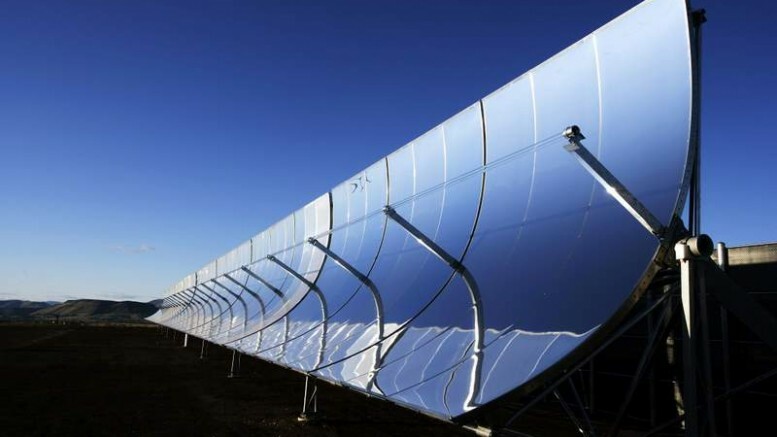 Instead, as we mentioned before, the advanced material can be used for Concentrated Solar Power systems – in which the greater capacity for absorption of heat would be ideal for boiling water. This in turn can be used to generate steam that would power the turbines for producing thermal electricity. As for the regular side of affairs, normal CSP setups have to go through alternate years of maintenance, given the relatively low heat-resistant capacity of the current materials used for the plant. This scope significantly affects the magnitude of power generation in a negative manner, with time-taking replacements needed for entire arrays of degraded sunlight-absorbing materials and coatings. In contrast, the new hybrid material is touted to have the superior ability to withstand temperatures of over 700 degrees Celsius. This not only pertains to better durability, but also entails the continued production of electricity – uninterrupted by frequent maintenance needs. This can be potentially game changing in the bigger scheme of things, since CSP installations from all over the globe have been rising in an impressive manner. When translated to figures, the worldwide installed capacity of CSP currently stands at 3.5 gigawatts, while it was just a paltry 0.36 gigawatts in 1990 – thus equating to a whopping 10-fold increase in 24 years. And, now with the advantage of uninterrupted power generation, the ambit might truly make its mark in the future realm of ‘green power’.